There are multiple applications for hydraulic use in aircraft, depending on the complexity of the aircraft. For example, a hydraulic system is often used on small airplanes to operate wheel brakes, retractable landing gear, and some constant-speed propellers. On large airplanes, a hydraulic system is used for flight control surfaces, wing flaps, spoilers, and other systems. Figure 7-36. 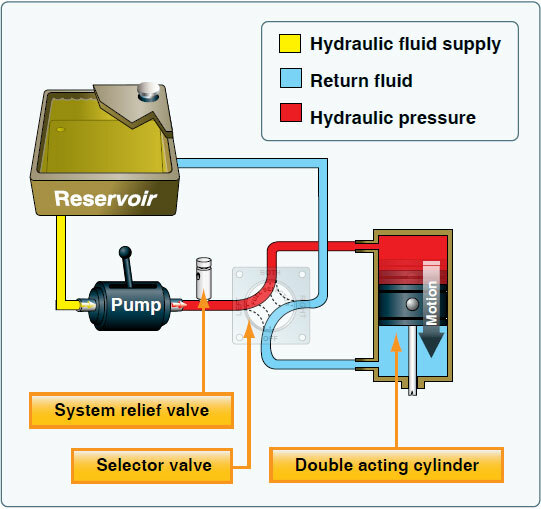 Basic hydraulic system. The landing gear forms the principal support of an aircraft on the surface. The most common type of landing gear consists of wheels, but aircraft can also be equipped with floats for water operations or skis for landing on snow. [Figure 7-37] The landing gear on small aircraft consists of three wheels: two main wheels (one located on each side of the fuselage) and a third wheel positioned either at the front or rear of the airplane. Landing gear employing a rear-mounted wheel is called conventional landing gear. Airplanes with conventional landing gear are often referred to as tailwheel airplanes. When the third wheel is located on the nose, it is called a nosewheel, and the design is referred to as a tricycle gear. 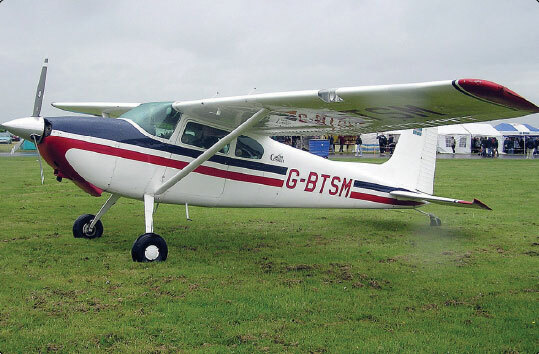 A steerable nosewheel or tailwheel permits the airplane to be controlled throughout all operations while on the ground. Figure 7-37. The landing gear supports the airplane during the takeoff run, landing, taxiing, and when parked. Nosewheels are either steerable or castering. Steerable nosewheels are linked to the rudders by cables or rods, while castering nosewheels are free to swivel. In both cases, the aircraft is steered using the rudder pedals. Airplanes with a castering nosewheel may require the pilot to combine the use of the rudder pedals with independent use of the brakes. Figure 7-38. Tailwheel landing gear. With the CG located behind the main landing gear, directional control using this type of landing gear is more difficult while on the ground. This is the main disadvantage of the tailwheel landing gear. For example, if the pilot allows the aircraft to swerve while rolling on the ground at a low speed, he or she may not have sufficient rudder control and the CG will attempt to get ahead of the main gear, which may cause the airplane to ground loop. Diminished forward visibility when the tailwheel is on or near the ground is a second disadvantage of tailwheel landing gear airplanes. 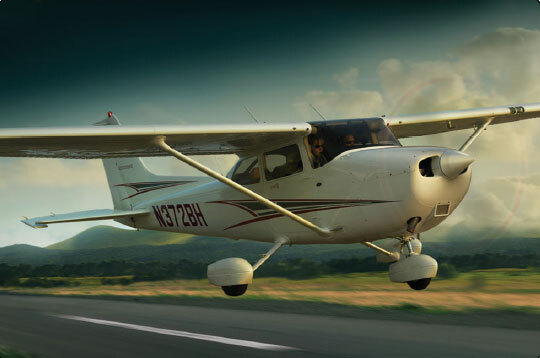 Because of these disadvantages, specific training is required to operate tailwheel airplanes. Figure 7-39. Fixed (left) and retractable (right) gear airplanes.